The Pearson Hotel | slate river ramblings . . . . The Pearson Hotel (a.k.a. 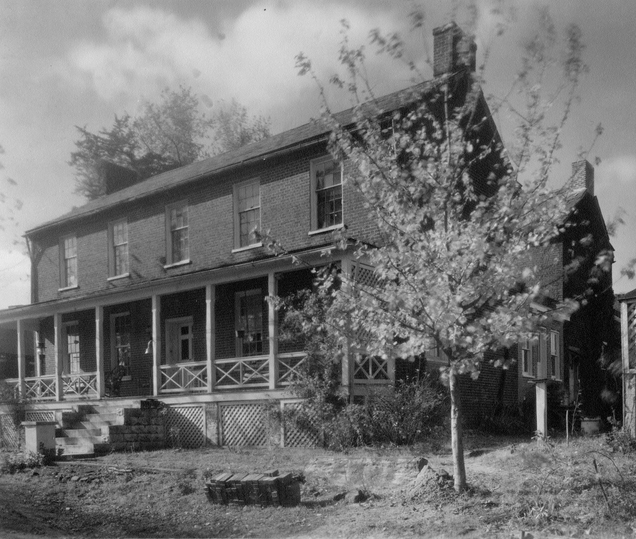 Maysville Hotel), 1933. One of the places featured in “At a Place Called Buckingham” – Volume Two is the Maysville Hotel. In 1933, when Frances Benjamin Johnston photographed Buckingham Court House, the establishment was known as The Pearson Hotel. In 1920, John E. Pearson was the proprietor. That year, his son, Charles E. Pearson, was Deputy Treasurer of Buckingham County. His daughter, Lucy W. Pearson (only seventeen), taught public school. By 1930, his wife, Alma, was a widow and had become the proprietor. When the census enumerator visited in April, she had two lodgers. John Elias Pearson married Alma Winston Spencer, the daughter of Robert Henry Spencer and granddaughter of Rev. John Spencer (1808-1889). After the hotel was sold, Alma lived in a house on the north side of Hwy 60, west of Maysville Presbyterian Church. Read more about the hotel and the Spencer family in “At a Place Called Buckingham” ~ Volume Two. I know that Henry & Earl Pearson (Alma’s bachelor sons) lived in the house that you mentioned. They ran the West Inn Market located beside that little house. I never knew that Alma lived in that little house, but I could be wrong. I think that Alma lived in the house across Route 60 from the West Inn Market known as the Pearson House on the north side of Rt. 60. I lived in the house beside the Pearson House. Please correct me if I’m wrong. Margaret, Thanks for your comment. Was the West Inn Market a general store or a grocery store?